This men's crewneck shirt features a rubber-print throwback graphic that takes center stage. Fleece fabric and long sleeves add layerable warmth, and the ribbed cuffs and hem ensure a stay-put fit. 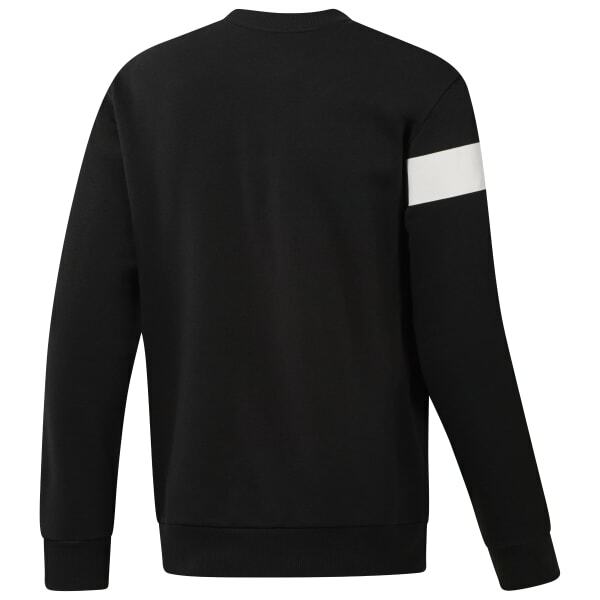 Pair this retro sweatshirt with jeans for effortless style.